Yes, you can make smoothies for meals on the Daniel Fast. No butter. The Daniel Fast is totally plant-based. I’m not a health professional. It might be that you didn’t have enough protein. Add some nuts, beans or grains to your meal and you will likely level out. Most people wiht type 2 diabetes, when they eat a balanced Daniel Fast meal plan, are able to drastically reduce or eliminate their medication. I was recently diagnosed with Type 2 diabetes. I am currently taking a pill 2x day. I began the Daniel Fast on Sunday. It’s a challenge, but the most puzzling part is that my BS level was 148 on Monday morning and 155 this morning (Tuesday). The only thing I ate when I got home yesterday was a salad and water and I went to bed. Can you tell me what could possibly be causing these spikes in the morning? I’m doing the best I can. Grits are listed on the menu but can you add a little butter? Most granola has sweeteners in it. So not allowed unless free of sweeteners and chemicals and made only with whole grains. I wish I knew if acai berry bowls were allowed. When going to the smoothie place, the guy said he did not know if it contained milk or added sugar. Waaaaaa! And what about granola? My preferred brand is Adams. Just read the list of ingredients on the food label. Is should have no sweeteners or chemicals. Also, consider making your own in the machines provided in supermarkets with natural food departments or at your local health food store. It’s all about the ingredients. Ranch dressing is a type of salad dressing made of some combination of buttermilk, salt, garlic, onion, herbs (commonly chives, parsley, and dill), and spices (commonly black pepper, paprika, and ground mustard seed), mixed into a sauce based on mayonnaise or another oil emulsion. Buttermilk and mayonnaise have animal products (cows milk and eggs) and therefore Ranch Dressing is not allowed on the fast. And thank you! God is good and I am blessed to serve Him. 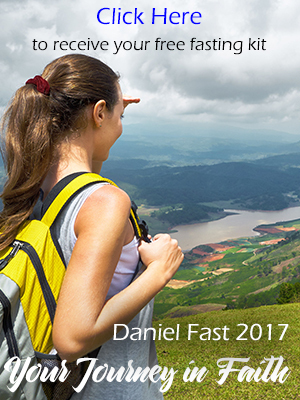 The fast is based on the fasting experiences of the prophet Daniel from Daniel 1 and Daniel 10. In Daniel 1:12 we learn this: Prove thy servants, I beseech thee, ten days; and let them give us pulse to eat, and water to drink. Pulse is food grown from seed. Water is . . . water. And that’s why the only beverage on the Daniel Fast is water. I also want to share another couple points that your comment raises . . . and I write this only as a life lesson opportunity. First, “enjoy your strictly herbal teas” is sanctioning serving the flesh rather than denying it (which is at the center of the purpose for fasting). Second, teachers are judged. Teachers influence others to take action. And when what we teach is not correct, then we can steer people into error. That’s why I have spent countless hours researching the scriptures, the teachings of Christian and Jewish scholars, and sought God for insight about the fast. If we take on the role of teaching others, it’s a huge responsibility and that’s why the Lord judges teachers to be teaching the truth. I hope this helps . . . be blessed. So if herbs and spices are allowed, but herbal tea isn’t? That just makes no sense. So enjoy your strictly herbal teas. Not teas containing black tea or other caffeine. Simply put, THANK YOU for this information! My boyfriend loves Ranch Dressing, I told him I thought that it would be restricked from this fast but wanted to double check on here. I couldn’t find a definete answer so I thought I’d post a comment. We started our fast on the 1st and I can speak for myself and say that many blessings are ahead and I feel amazing. No, the only beverage on the Daniel Fast is water. Can we drink 100% fruit juices? No. Only unleavened bread that is totally plant-based and includes no sweeteners or chemicals. The Daniel Fast is totally plant-based and is free of any chemicals or sweeteners. You want to read the list of ingredients on the food labels. Also, read and study the food list provided on this site to become familiar with what is and is not allowed. I’m new to The Daniel Fast, what type of granola can be used if making an Acai bowl? Unsweetened almond milk is allowed in recipes or on cereal. Almond butter is a good choice (make sure its free of sweeteners and/or chemicals). Can I drink water with lemon? Thanks for your information. I wanted to know about almond butter and unsweetened almond milk? Are they ok on the list? Also if I messed up with a food item that I wasn’t suppose to include, do I need to start over the next day? Yes, to the coconut oil and no the Stevia since it’s a sweetener and no sweeteners are allowed on the Daniel Fast. can we use coconut oil? Can I use pure Stevia? Yes, it’s a great choice. You just need to make sure the ingredients are all in line with the Daniel Fast guidelines. I use Westsoy and Pacific. Not sure if they are available in your area. The main thing is to read the list of ingredients on the label to be sure the contents is free of added sweeteners and/or chemicals. Thanks! Any particular brands you recommend?? I usually buy Almond Breeze and Silk…unsweetened. Yes, Stephanie. They are allowed if the are free of man-made chemicals and any kind of sweeteners. My favorite is unsweetened soy milk. Almond, cashew, coconut, rice etc milks allowed?